::Biography:: Lynch was born in Spokane, Washington and raised near Sacramento, California. He is a highly respected modern guitarist often compared with other guitar heroes such as Randy Rhoads, Steve Vai, Andy Timmons, Eddie Van Halen, Joe Satriani, John Petrucci, and Yngwie J. Malmsteen. Lynch is well known for his famous legato technique and common use of the scale he calls the 'Gothic Octave'. Lynch was born in Spokane, Washington and raised near Sacramento, California. He is a highly respected modern guitarist often compared with other guitar heroes such as Randy Rhoads, Steve Vai, Andy Timmons, Eddie Van Halen, Joe Satriani, John Petrucci, and Yngwie J. Malmsteen. Lynch is well known for his famous legato technique and common use of the scale he calls the 'Gothic Octave'. Twice Lynch auditioned for the position of Ozzy Osbourne's lead guitarist, once in 1979 ? losing to Randy Rhoads ? and another time in 1982 to replace Brad Gillis. According to Lynch, he was hired for three days before Ozzy changed his mind and decided to go with Jake E. Lee. Lee, however claims that Lynch "got the gig, but only went on the road for two weeks to watch the show, and never actually played with Ozzy." In spite of the band's popularity, Lynch left Dokken in 1988 due to internal tensions with lead vocalist Don Dokken. Lynch formed his own hard rock band Lynch Mob which differed from Dokken in lyrical complexity, subject matter, song structure, guitar complexity and tuning, and a notably different approach to vocal harmony than Dokken's soaring harmonies. In 1993, Lynch released his first solo album, Sacred Groove. By 1994, after the record company refused to release a new Dokken album without George Lynch on guitar, he and Don Dokken set aside their differences and Dokken reformed with their classic lineup. 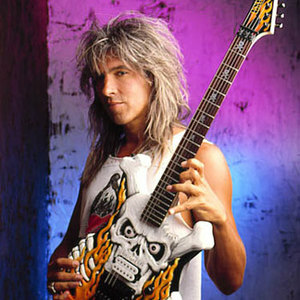 Dokken released two albums and a video during this period but Lynch still found time to tour with his own band, appear at guitar clinics for ESP guitars, and attend the annual NAMM Show. By 1997, tensions had again flared over creative differences and Lynch quit the band to pursue other projects. Lynch was replaced by Reb Beach, and eventually others, and Dokken continued without his involvement. Lynch reformed Lynch Mob, and released an album with a radically new style, influenced by modern souding bands, with an interesting and new approach. The tour attracted a younger audience.Lynch Mob then recorded an album of re-recorded classic lynch songs from Dokken or Lynch Mob albums, updated to a more contemporary (post-2000) approach and sound. He also formed a project with former Dokken bassist Jeff Pilson called 'Lynch/Pilson'- Wicked Underground. In 2003 Lynch formed the 'The George Lynch Group' in which he has continued to record and regularly tour. The George Lynch Group performed a marathon, 26 shows in 30 days, including a much talked about feature on the Tonight Show with Jay Leno. The line-up is: George Lynch - Guitars, Andrew Freeman - Vocals, Vinny Appice (Black Sabbath/Dio) - Drums, Marten Andersson (Lizzy Borden/Starwood/Legacy) - Bass. The 2005's "Furious George" album is a cover album, including classic rock tunes from ZZ top, Jimi Hendrix, the Beatles, Ac/DC or Led Zeppelin. A new, long awaited, all-instrumental album is currently in progress. George currently lives near Los Angeles, and aside from embracing body building, created an instructional guitar website named the "Guitar Dojo". These guitars are still avalaible from ESP Japan. The Flame Boy and Super V also exists in a less expensive LTD version. Seymour Duncan created for George Lynch the Screaming Demon guitar pickup(SH-12 sand TB-12), featured on all the ESP Lynch signature guitars series. This pickup is one of their best sellers. They also recently designed the new Super V pickup to be featured in the Super V model. This pickup can be ordered form the Seymour Duncan custom shop. His immoderate use of Marshall, Soldano, Bogner & Diezel amps and effects units to achieve his famous tone is well known in rock guitar circles. His rig changes on every tour. Lynch currently endorses Randall amplification and participated in the design of a new George Lynch Box for their modular amp system. While on tour in 2005 he has used the Randall Dragon (non master volume) tube head for the majority of his sound. The design is very similar to the older marshall plexi heads that he used early on in Dokken. A Morley A/B box called the tripler is also avalaible. It includes a Boost. Lynch is endorsing the handcrafted Yamaha L-Series Acoustic Guitars and is on a Asian 'Unplugged' except for a Marshall stack, Clinic tour May/June 2006. Lynch has also designed a new high-nickel content string through the Dean Markley company to be on the market soon but his name will not be on the package.